This coming weekend, artistic director of women’s collections Nicolas Ghesquière will present his next offering for Louis Vuitton in Rio de Janeiro. It’s the latest stop on the international fashion circuit’s increasingly itinerant calendar, one that has seen far-flung destinations from Seoul to the Côte d’Azur form the backdrop for the presentation of the commercially crucial Cruise collections. 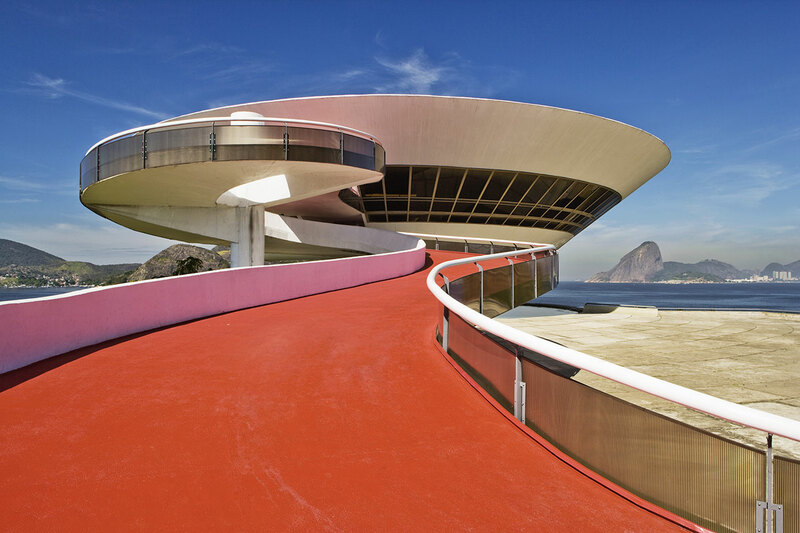 Wholeheartedly embracing the ‘spirit of travel’ ethos that underpins the brand, Vuitton last year decamped to Palm Springs to unveil its Cruise 2016 collection at the Bob and Dolores Hope Estate, an architectural marvel that this year has been supplanted by Rio’s Niterói Contemporary Art Museum. Designed by the late legendary Brazilian Modernist architect, Oscar Niemeyer, the MAC’s iconic, futurist curvilinear form evokes the promise of recurrent science fiction themes in Ghesquière’s collection, in much the same way that the John Lautner-designed Hope Estate did. Throughout a career spanning more than 70 years, Niemeyer is credited with shaping Brazil’s visual and architectural language, and alongside the Congress and Cathedral of Brasília, the MAC is considered one of his crowning achievements from a portfolio of over 500 buildings. The MAC is currently closed for renovations and will reopen for in occasion of its twentieth year in June, making Vuitton’s decision to show here all the more significant. Until last year, the MAC housed the private collection of Joao Sattamini, a Brazilian collector who lays claim to one of the largest private collections of contemporary art in the world. Suffice to say, whatever Ghesquière decides to parade down the spiralling, red-carpeted, 98 meter-long ramp ramp and into the 2,500 square meter courtyard will prove a fitting visual accompaniment to Niemeyer’s indomitable masterpiece. Earlier this month, CHANEL presented their Resort 2017 collection in Havana, Cuba, and in doing so became the first major international fashion house to show in Cuba. The next stop on the Cruise circuit will be Oxfordshire in England for Dior’s Spring/Summer 2017 Resort collection, which shows at Blenheim Palace on May 31. In the interim, here’s footage of Niemeyer flying across Rio in a MAC UFO to tide you over. Enjoy.